The decade after the 9/11 attacks reshaped many facets of life in America. Some changes were temporary — an immediate response out of concern for our safety — while some proved to be more lasting transformations in American life. An updated version of this story was published in 2018. Read that story here. The American lexicon was one of the things that changed drastically in the months and years after the attack. Among the words or phrases (9/11 being one of them) that entered everyday language: al-Qaida, Taliban, ground zero, radicalism, extremism, anthrax and the Axis of Evil. Their usage dramatically increased and soon became part of Americans’ everyday lives. The new TSA implemented procedures that included stricter guidelines on passenger and luggage screening. Only ticketed passengers could go through security, and an ever-changing array of machinery and procedures were introduced to scan for weapons and destructive items. 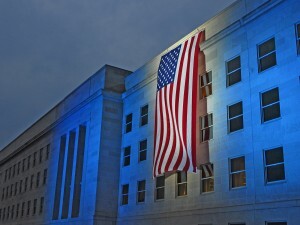 As new threats were discovered after 9/11, new procedures were introduced, including removing shoes and banning liquids. 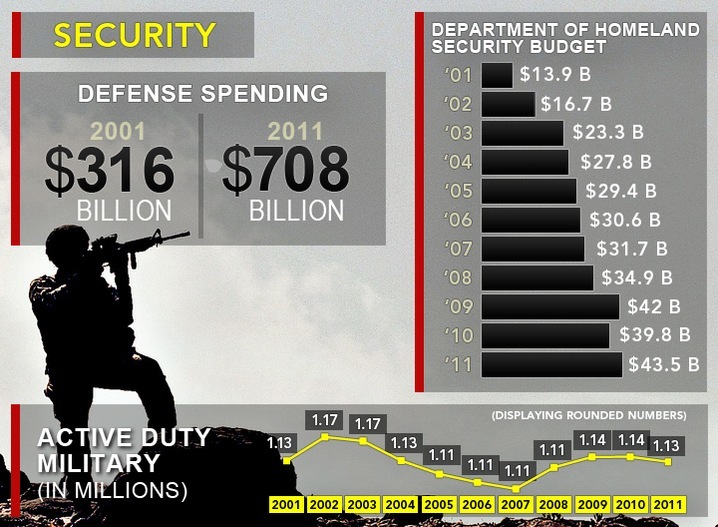 In order to offset the added security costs, a “Sept. 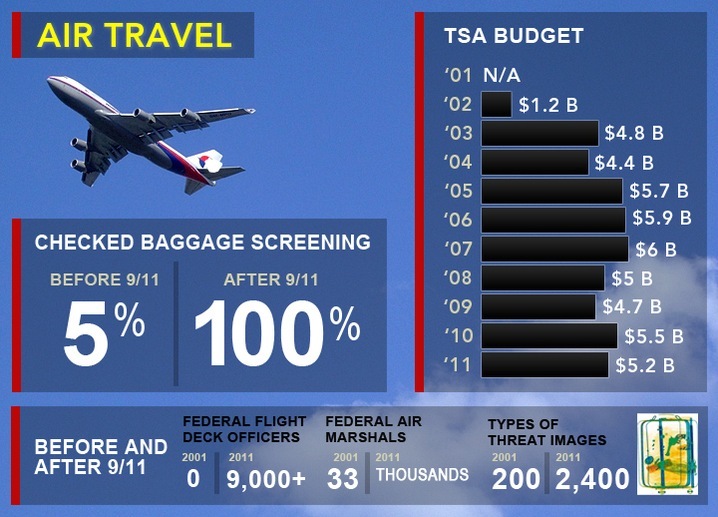 11 fee” was tacked onto passengers’ tickets, with the TSA collecting nearly $15 billion collected over nine years. Airlines also had to give some of their luggage screening budget to help offset costs as well. Air carrier fee collections amounted to $2.9 billion between 2002 and 2010. The International Code Council released post-9/11 building code suggestions to make skyscrapers safer and able to withstand similar incidents — at least long enough to evacuate occupants. Changes include more stairways for structures taller than about 42 stories, elevators that can be used during emergencies, higher fire-resistance and impact-resistant walls for elevator shafts and exit stairways. Anti-Islamic violence in America jumped after the attacks. According to the FBI, 28 hate crimes committed in 2000 were found to be anti-Islamic. In 2001, that number jumped to 481, and it remained above 100 in subsequent years. Clinical psychologist Hisham Abu-Raiya of Tel Aviv University conducted extensive research on the aftereffects of 9/11 on American Muslims. Of those he surveyed, he found that a majority experienced negative events, such as verbal harassment and increased airport security checks.